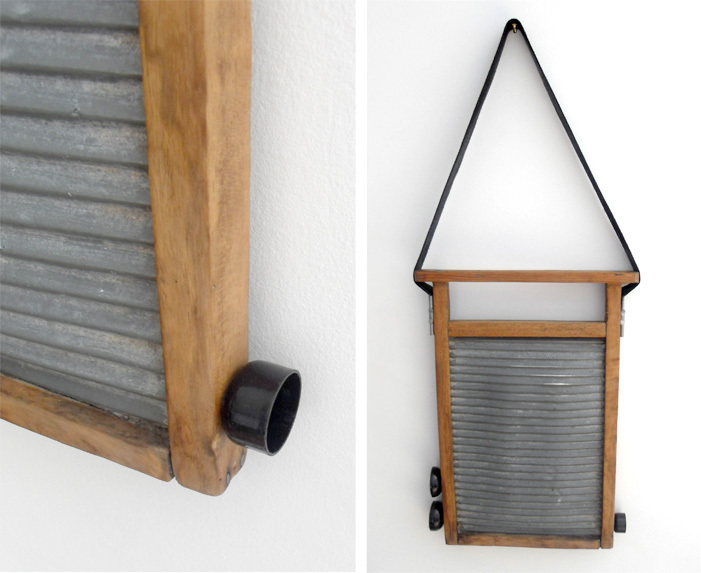 Anyone who read this old post on my washboard renovation project, will recall that I was looking for an additional bell/chime/noisy thing to add to the right hand side of the frame and balance out the two existing bells on the left side. 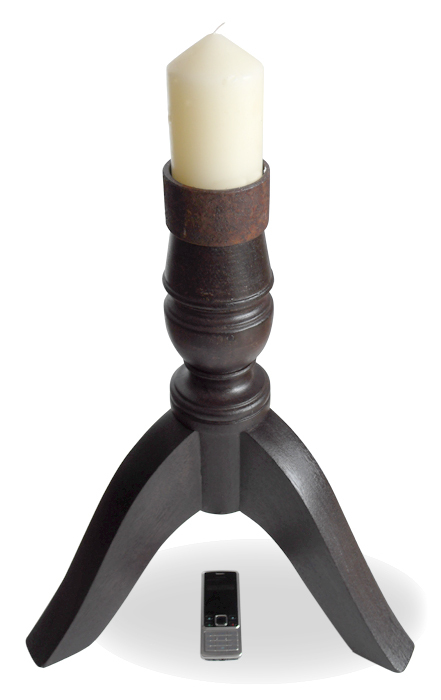 Here’s my latest candlestick creation. 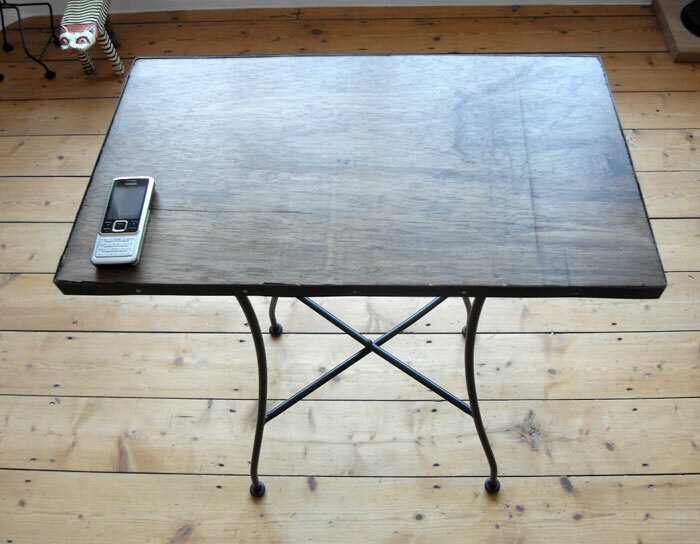 It’s made from the chopped-off base and legs from an old circular table (found in a skip, of course!) and a rusty metal ring for the candle holder itself. Here’s a work-in-progress shot, with the items simply placed together to see how the various elements look/fit. . .
. . . and here is the final version, in its stained and varnished form (following the removal by paint stripper of the old scuffed varnish). 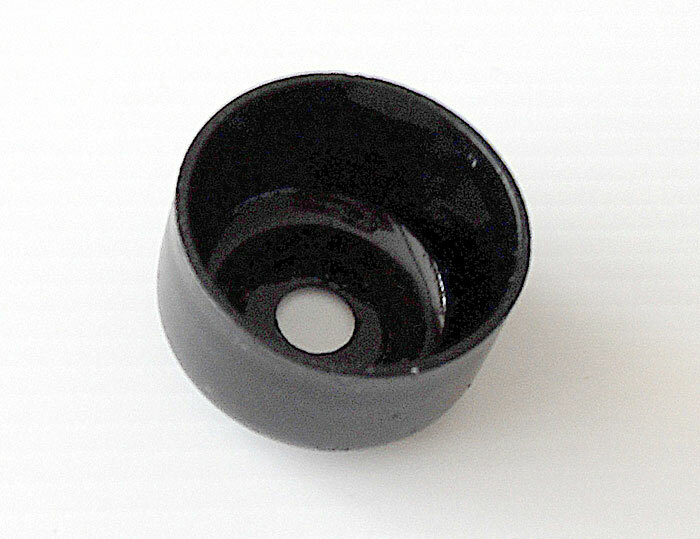 The metal ring has a coat of spray varnish to protect it and stop the finish rubbing off onto the candle etc. As ever, the trusty mobile is there for scale. I’m quite pleased with it – it fits well with the other stuff I’ve being doing lately. 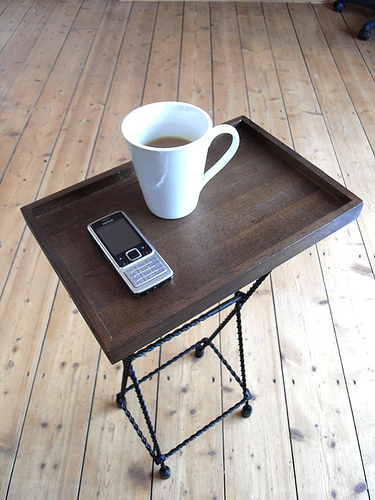 So here’s Number 2 in the Occasional Table series! (see here for Part 1 and a general explanation). I like this piece for two reason – firstly it’s slightly larger than any of the others (good for when a rabble comes round for tea!) 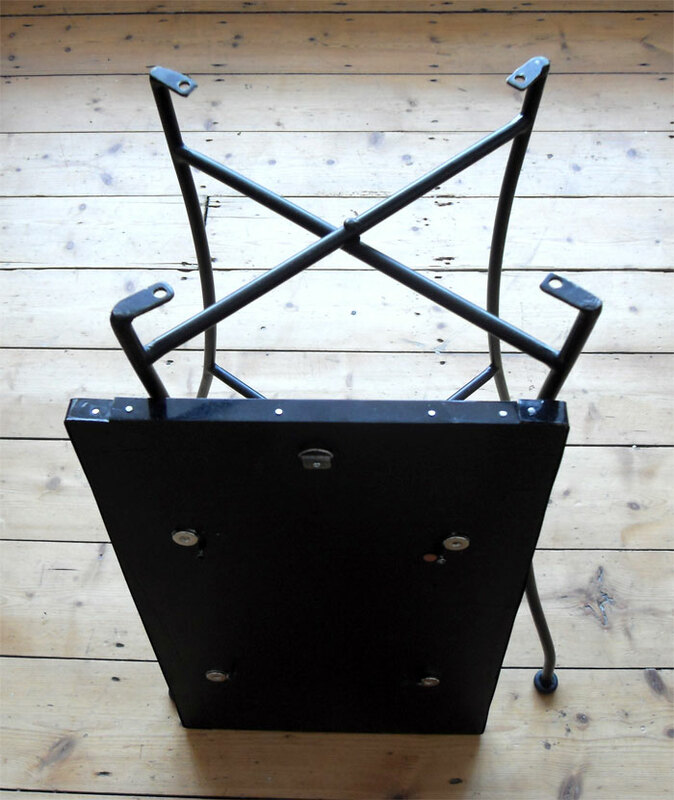 and secondly that, when not needed, it comes apart, folds flat, and is stowed cunningly away by hanging it on the back of the living room door – genius! 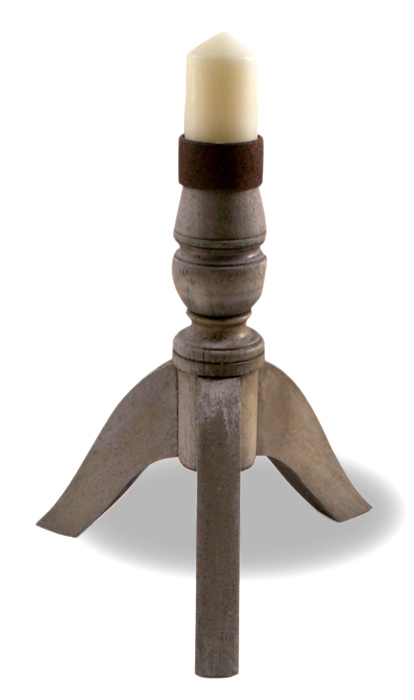 The top is secured in place to the legs by means of four screws, the heads of which slip through holes that were already drilled in the top of the legs. As an added security measure, I have put four flat magnets (which look like washers, complete with countersunk holes for fixing) which cam from an old pull-up advertising banner. They are surprisingly strong and help hold the top in place. Last chance to vote for my shed!! 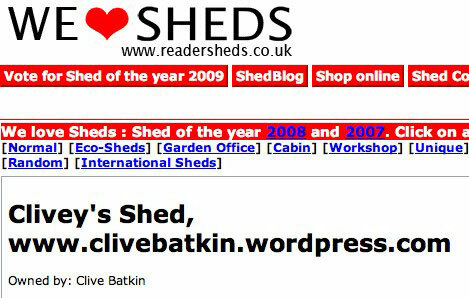 Public Voting for Shed of the Year 2009 ends this Sunday June the 21st at midnight!! I am sure you have all voted for ME, but if not, please visit the link here!! 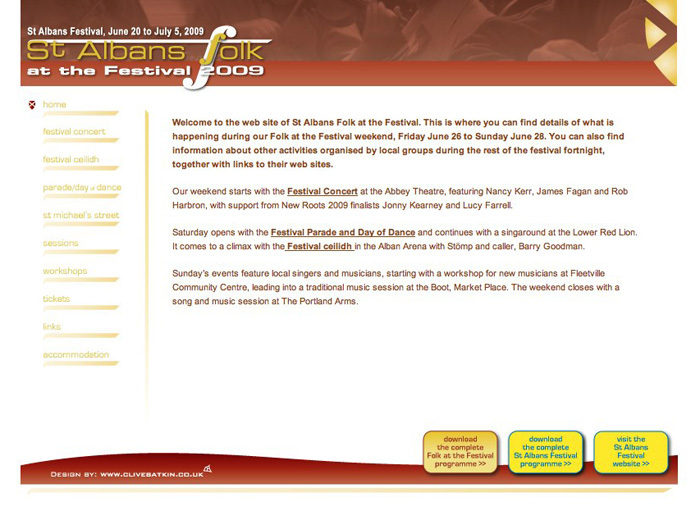 It needs a bit of development here and there, but I hope the format will allow it to evolve into an informative and usable site over the next couple of years. My first Moleskine. . .
I’ve just been given my first Moleskine notebook (by my friend TS , who says I never mention her in my Blog posts!) and I must say it’s every bit as good as the adverts / general consensus seems to indicate.. . .
. . .as the blurb goes. 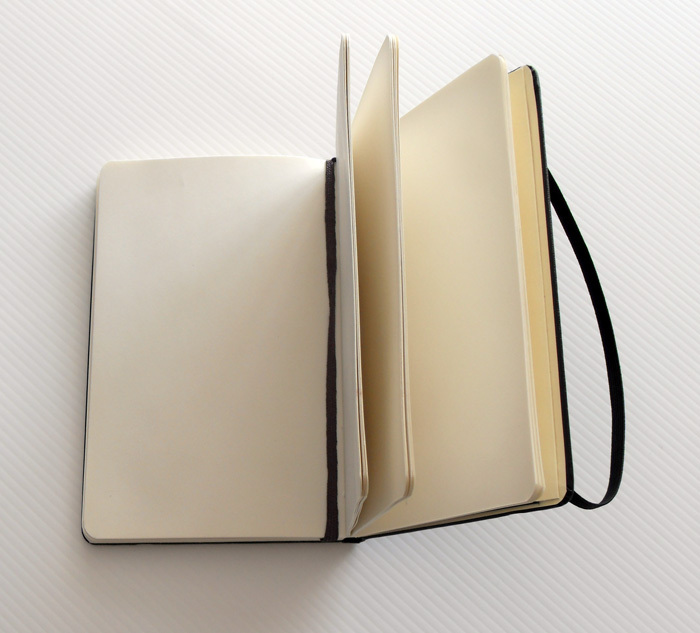 Check out the excellent Moleskine websites here >> and here >> – it’s amazing the range of product they produce and what people do with them around the world! However, I am now suffering from ‘the fear of blank canvas’ feeling, so well known by artists throughout time. What should I use my shiny new notebook for? I have a feeling it should be something more monumentous that a mere shopping list repository – I do have a secret project in mind, so maybe this should be recorded and documented? Who knows, stay tuned and I’ll post up what happens. . . In the never ending task that is the re-vamp of my living room (see lots of previous posts for endlesss referencees to this Herculean endevour!) I’ve been making some small tables for such essential items as cups of tea, tea pots, mobile phones and a variety of remotes for the television I never get a chance to watch! I thought I could get away with just one such table, but as always the project has become a self-propelled monster and I’m currently up to a total of three (and counting!). So here’s the first one – it’s based on an AVSATS tray from IKEA, but which I found brand new in a charity shop for £1! It’s just the right shape and size for bringing a pot of tea, milk jug and two cups into the sitting room, and I thought it would be really nice to then put it down on to it’s own set of detachable legs to form an instant table. For ease I’ve put a few photos on my newly created Flickr steam which show the basic stages in construcion – it’s little more than a framework of metal legs (made from worn out drill bits – very long ones, the kind one uses to drill holes straight through the walls of buildings and out the other side), welded together and painted black. I made some feet from sections of copper tube filled with lead, and added four copper tube ‘sockets’ onto the base of the tray into which the legs simply slot. Job done!! It’s proved really useful already and well worth the £1 investment! A reader of a previous blog post of mine (thanks Andy, of the excellent Workshop Shed site!) told me about the IKEA Hacker site and I think this new project maybe fits the bill of the kind of things they feature – I’ll write in to them and see what happens! ?